All though I have named this with Buddha now I look and see more of my wife who has obviously been my muse for many years, in fact 20 years but I feel it is now both . 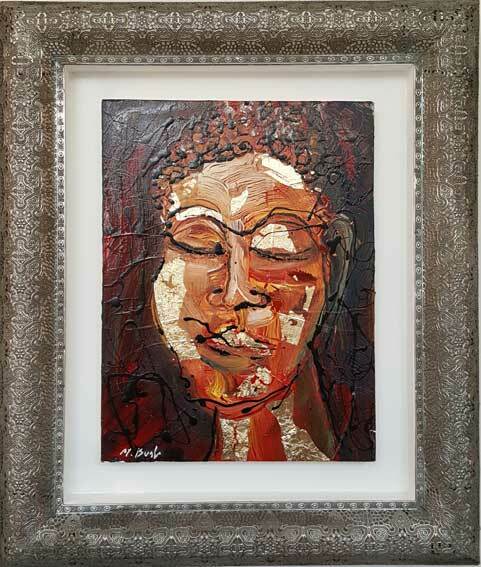 Inspired by my many visits to Temples and the culture in Thailand. 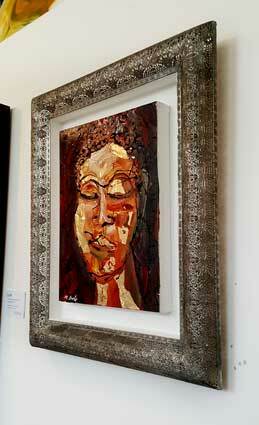 Acrylic and oil with gold leaf on canvas and mounted in this amazing oriental style frame.